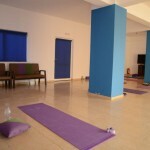 For the lovers of yoga we have at our accommodation a specially designed area for you. A few weeks per year a Yoga teacher is giving seminars and yoga classes here. Lots of people arrange their holidays to coincide with those days of the yoga courses and seminars. 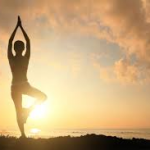 Yoga is a traditional practice that has physical and mental effect on humans. The origin of yoga likely dates to the 2nd century BC in Ancient India. In the 1980s yoga became popular in alternative medicine and physical exercise system in our Western world, without substituting the classical Human Medicine. The word Yoga comes from the Sanskrit root “yuj” and means “union of mind and body.” Yoga as exercise strengthens the body and releases it from tensions and muscle tightening. The spine becomes straight and stimulates blood circulation. It can work therapeutically sometimes, in cases where there are problems such as the waist and the tumbler. It can be used in pregnancy as there are special courses for pregnant women, who can help them by backache and improve the agility of the woman. 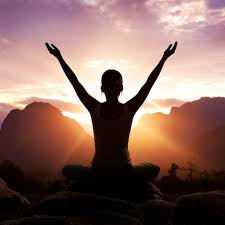 Finally, yoga helps combat stress and generally is an overall attitude to life. We will be happy to having you in a yoga class, or more to take advantage yourself of its benefits. For 2016 we have two seminars. In the month of June the yoga teacher from http://www.yoga-westerstede.de will be at our place for her seminar. 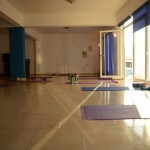 In the month of October the yoga teacher from http://www.triyoga-mainz.de will be at our place for her seminar.